The Cape Fear River has overtopped a dam at Sutton Lake in Wilmington, sending coal ash into the water body from the 1971 ash basin. The lake provides cooling water for Duke Energy’s Sutton plant. 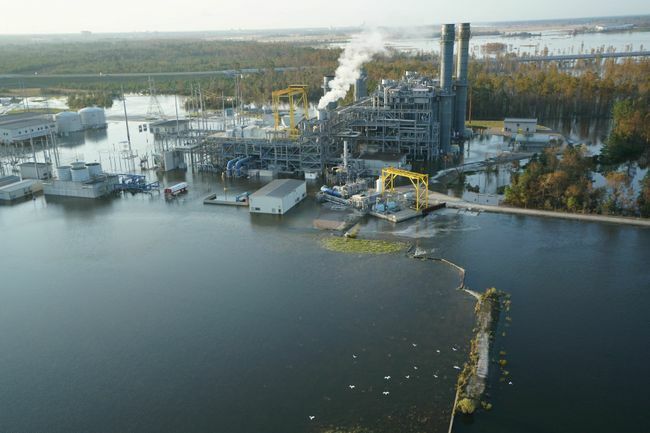 According to the utility, cenospheres, which are coal combustion byproducts, are moving from that basin into the lake and onto the Cape Fear River. Cenospheres are lightweight hollow beads that can contain not only silica and aluminum, but also arsenic and lead. The second coal ash basin, built in 1984, is stable and has not been affected, the utility said. The lined ash landfill, which suffered two breaches in its slope last weekend, is not affected by the lake water. The landfill is being repaired. Meanwhile, lake water has surrounded the natural gas plant at the Sutton site, requiring personnel to shut it down. Duke Energy had previously shut down both reactors at its Brunswick County nuclear plant, but only one remains offline as of today. The second unit is operating at 69 percent, according to the Nuclear Regulatory Commission.